Durable A1 Premium Aluminum frame, a suspension fork with 50mm of travel, and wide range gearing make the Hotrock 24 21-speed trail-ready for big kids. 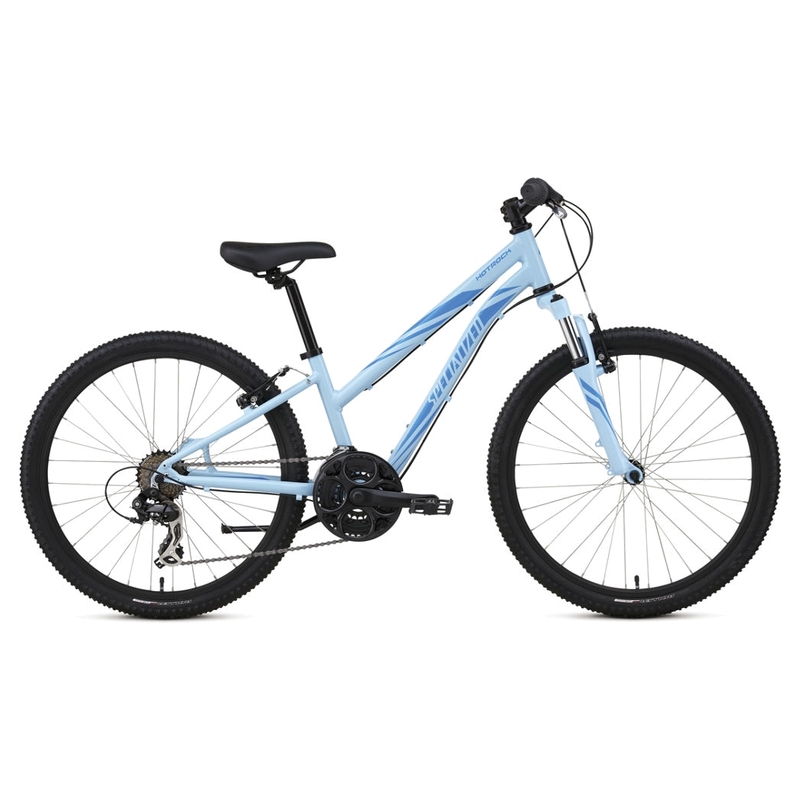 >24" A1 Premium Aluminum frame w/ low standover inspires confidence for all-terrain fun. >50mm-travel SR Suntour XCT-JR-24 suspension fork takes the edge off bumps for more control. >Durable, 32-spoke, alloy single wall rims can withstand years of cycling adventures. >Specialized Roller tires provide a knobby grip for dirt, but roll easily on pavement. >Specialized Kids saddle w/ bumper. Specialized Roller, 30TPI, wire bead, 24x2.125"
Forged alloy, single bolt, 31.8mm.